Purchased this in City Super in Hong Kong. Can’t remember the exact price. Had researched it online, and it says $88 HKD which is around £7. I was overwhelmed with all the cosmetics around me, that I didn’t look at the exact price. Shame I got rid of my receipts. 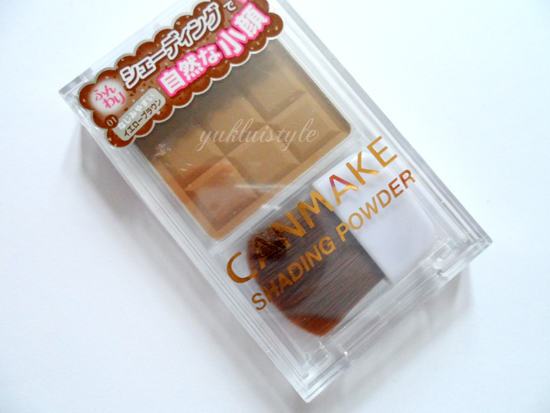 Canmake is a Japanese brand. I had purchased this in shade 01, Danish Brown. It has yellow undertones and isn’t a deep shade so it suits fair complexions with warm undertones. 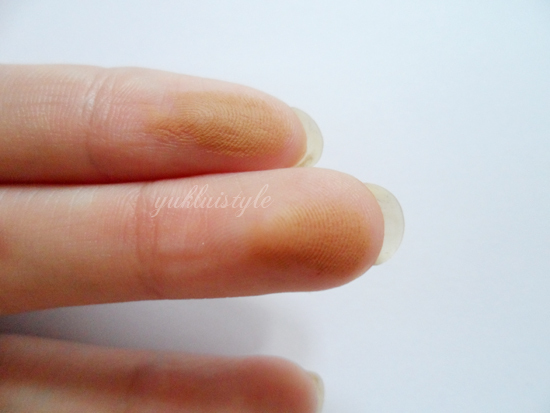 The swatch makes it look orange but once this is applied on the skin, it gives a nice, soft brown shadow. Compliments the skin well. If you apply too much of this, it’ll look muddy. So you need to blend blend blend! The powder is soft, easy to apply and blend. I use this to contour my cheeks. It gives great results however it doesn’t last long. Lasts a few hours then it starts to fade. When I take my makeup off at the end of the day, I can see a hint of this powder on the wipes. 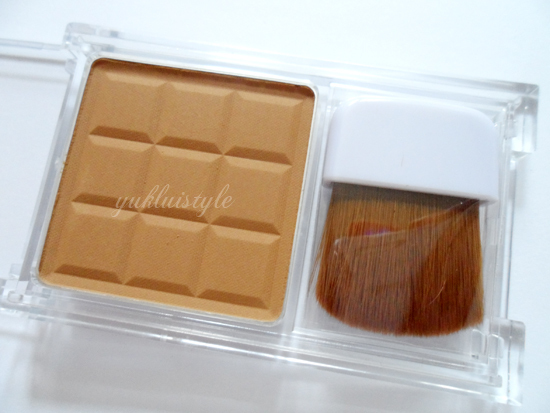 This would be a great item to have in your makeup collection if you’re a beginner to the contouring world. This is a matte powder. No shimmers at all for those who dislike shimmers. I think that having shimmers in a contouring product defies the actual purpose of “shading” in the areas. I wouldn’t use this as a bronzer to be honest. The product comes in a plastic packaging which isn’t the best. A brush is also included. The brush is flat and made of nylon. I dislike the brush. Wasn’t good to use when contouring because of the shape. Using a contouring brush would give you better results. There are 2 other shades available: 02 Burnt Brown and 03 Honey Rusk Brown. Burnt brown has a red undertone and Honey Rusk Brown is a general neutral light brown (according to their website). I don’t think I’d purchase this again. Would prefer to have a product that lasts all day.